The 1 year old Police Station in Parker CO has been awarded Best Public/Government Building Award for 2011 from Engineering News Record's (ENR) Mountain States Division. This is pretty cool! 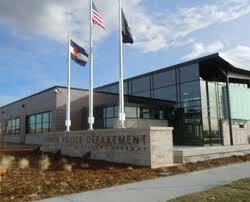 The Parker Police Station was completed in 2010 and boasts 54,000 Square feet. Its a LEED-Silver Building, located at 18600 Lincoln Meadows Pkwy., which is basically right next to Lowe's. See the whole article at Your Hub.